East Los Angeles, located adjacent to downtown Los Angeles, is home to a culturally distinct community with many local businesses. Its central location has historically been a crossing point for a variety of transportation corridors and freeways, linking the suburbs with the center of the Los Angeles region. 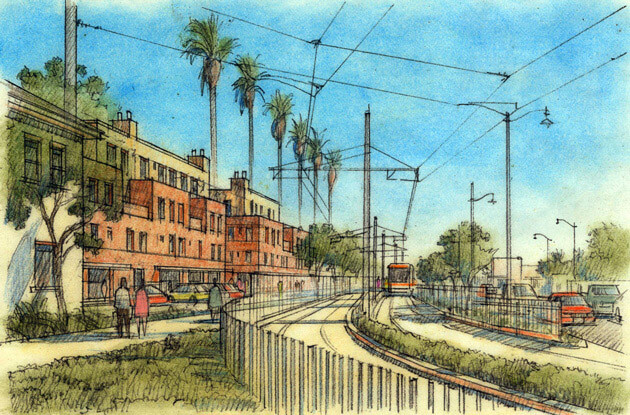 The planning area for this project is approximately 2.5 miles by one mile, generally straddling Third Street in the heart of East Los Angeles. 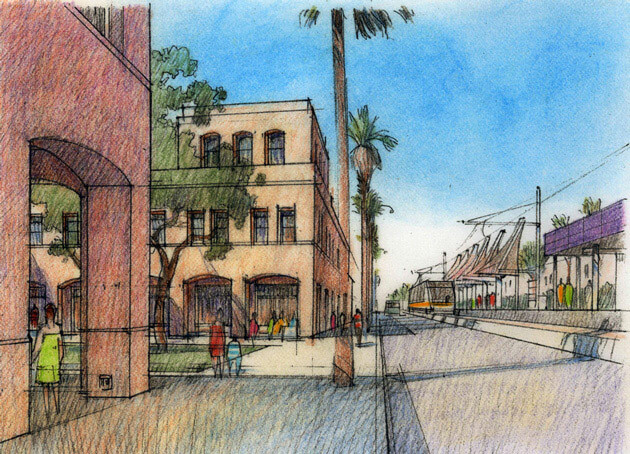 The plan seeks to leverage recent public investment in four new Gold Line station stops. Adopted in 2014, the plan included an extensive public outreach program, a charrette process that resulted in a widely supported community vision, a new form-based code and a specific plan. The plan will enhance the public realm through a variety of innovative design, landscape, transportation, economic and preservation strategies. Mixed-use infill on Cesar Chavez Avenue.